Hurrah, one project I can cross off my to-do list! This is my first finished quilt. It’s a gift for Lily Rose, my friend Michelle’s new baby girl. 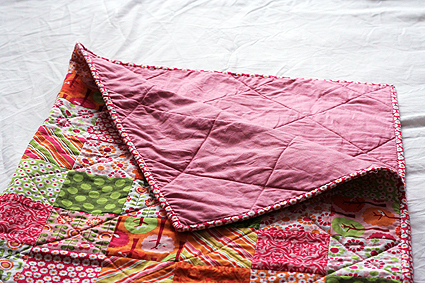 I made it square so it could be used as a play mat or for whatever she likes really. 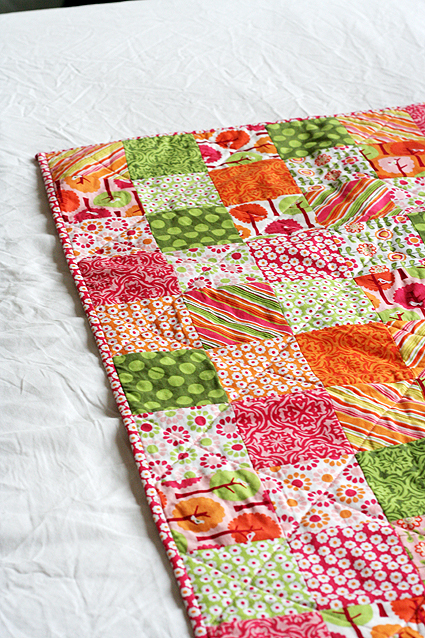 The fabric is Summer Song by My Mind’s Eye for Riley Blake Designs. I fell in love with the prints months ago and am glad to have had the opportunity to purchase and use them. I bought the fabric from Fabric Bee and Cherry Lane Textiles, using Etsy.com. The backing fabric is cotton, from Spotlight. I made the binding using a tutorial found on YouTube. The batting is cotton, also from Spotlight. 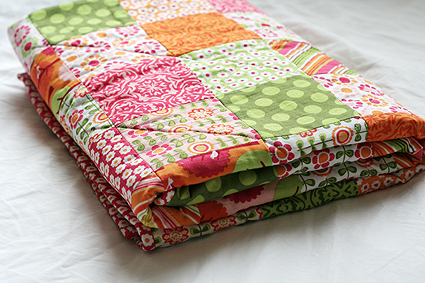 So beautiful…it’s amazing, I can’t believe it’s your first quilt..it’s too perfect! Great work…I hope to see many more now! Thanks Thouraya! I’m not sure how many more are in my future, but it is tempting! Beautiful quilt! I just bought my first sewingmachine, and maybe I want to make a quilt too.. althoug I have no idea how to do it.. But you did a great job, well done! Thanks Kathy! 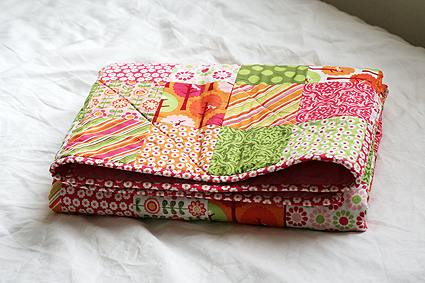 YouTube has so many tutorials for quilting – I’m sure it will help. Good luck!